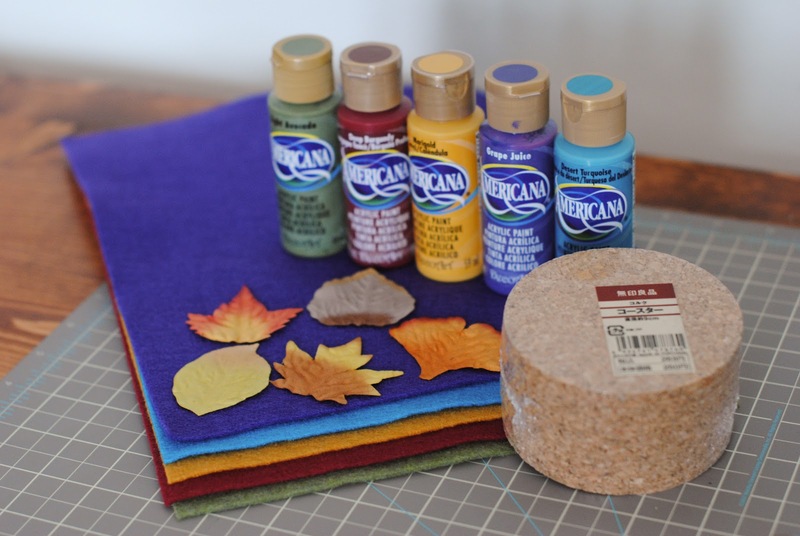 I absolutely loved the the felt I used to make my Autumn Felt Garland, and since I had some felt left over after that little project I decided to whip up some Felt-bottomed Leaf Coasters. 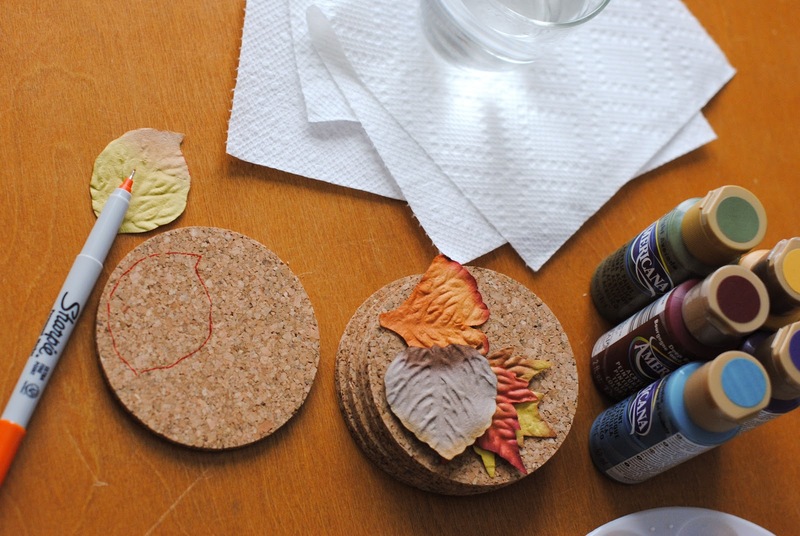 I started with the usual suspects: some cork coasters, felt, coordinating acrylic paints, and paper leaves (you might recognize those from my Thanksgiving Pumpkin). 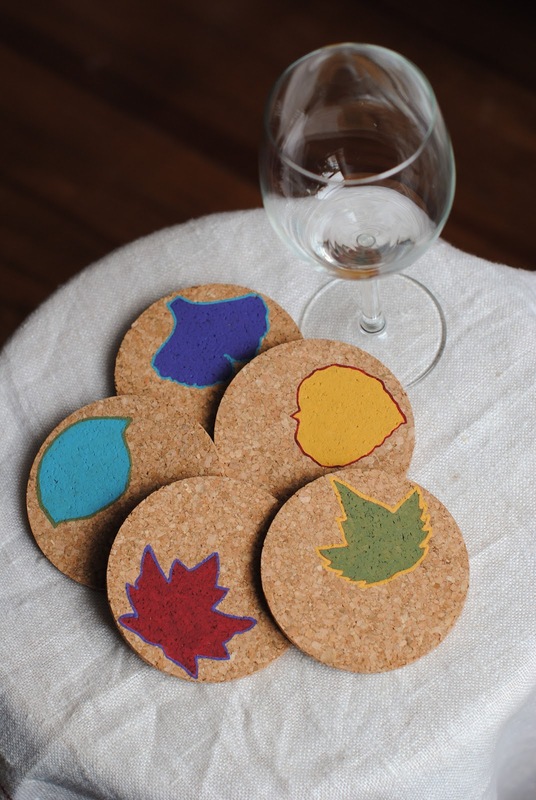 I began the project by tracing the leaves onto the coasters. 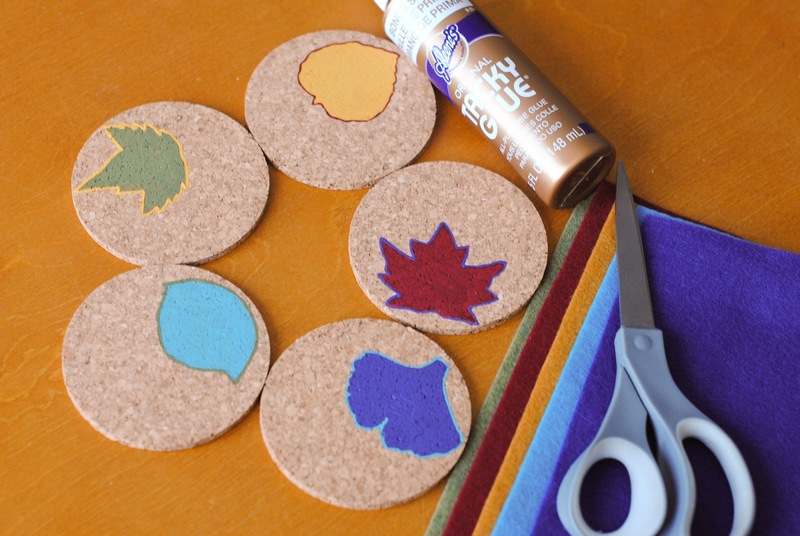 Then I painted the leaf shapes using acrylic paint and outlined the leaf shape with a contrasting paint color. Once the paint was dry, it was time to apply the felt bottoms. 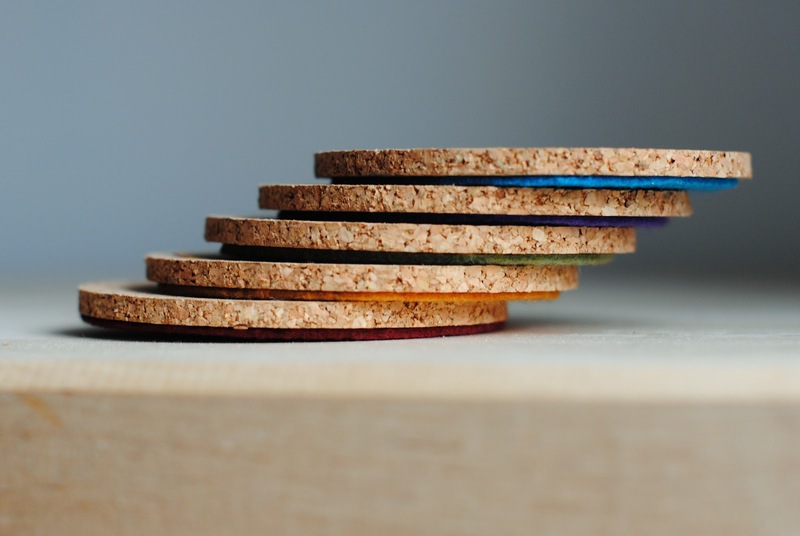 I cut circles out of the felt (I made the circles slightly smaller than the cork coasters), and glued them to the bottoms of the painted coasters using Tacky Glue. 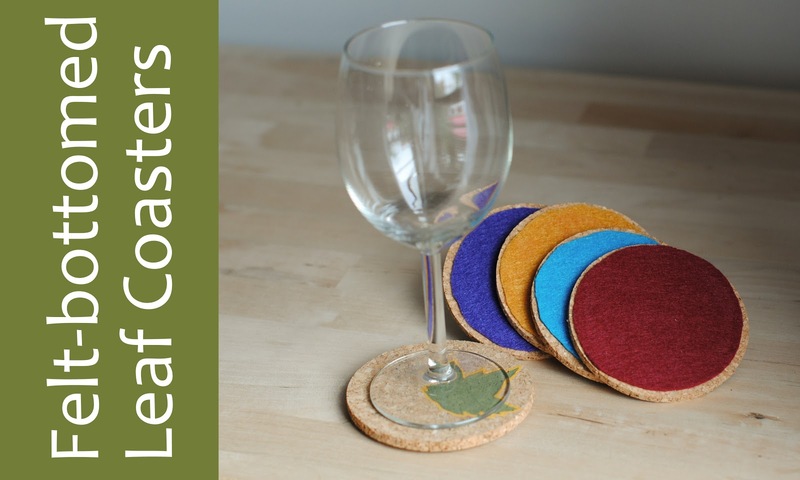 And in no time at all, I had glued felt to the bottoms of all my coasters. 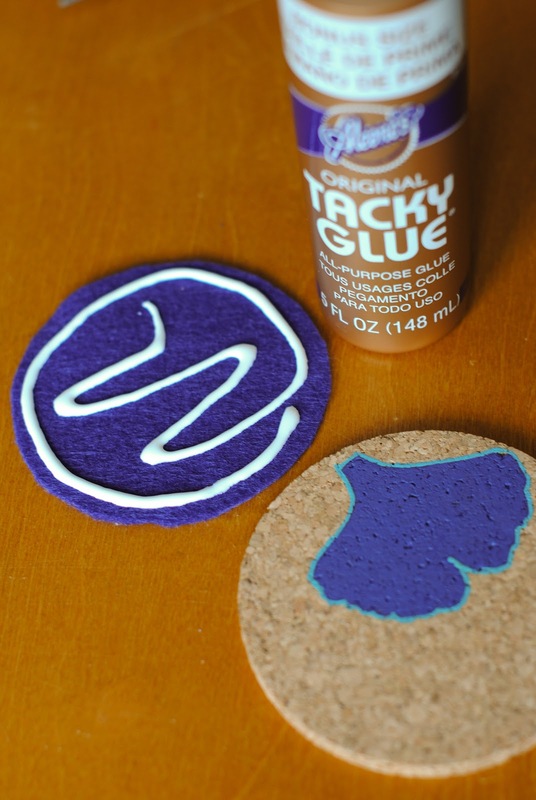 And once the glue dried, my coasters were finished. Cute, right? And more importantly, simple! 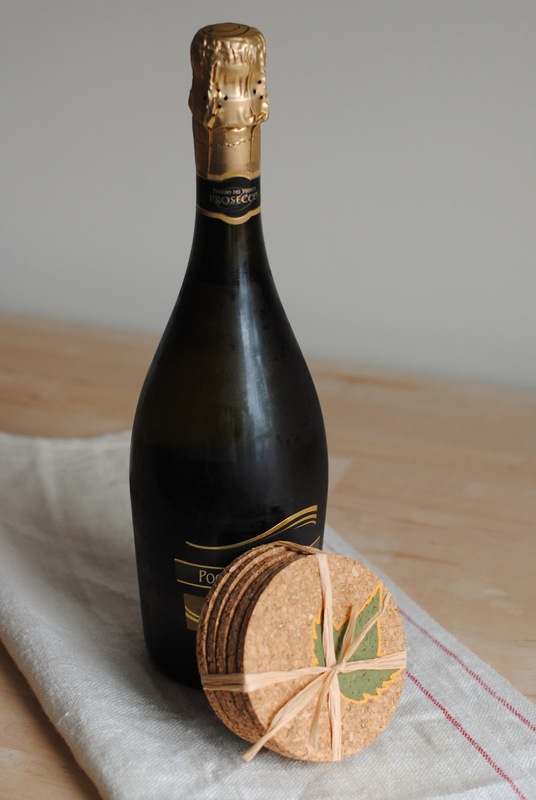 And when the coasters are all wrapped up with ribbon and accompanied by a bottle of sparkling wine, they make a great hostess gift!